This 100 % Polyester Drifit is total Garbage.....it gets WET when humid hot weather and you are sweating like crazy. it doesn't stay Dry like NIKE saids. Have you guys had the same experience ? That’s the reason i switched to under armours dry fit t shirts. Do you buy the UA,, 100 % polyester t-shirts that murray wears or the one that is combination of cotton/ elastane shirts ? Not sure if this was discussed elsewhere, but can someone explain the cities on this RF shirt? This shirt, according to Nike's website where they're also selling this shirt, these are all the cities he's won tournaments. When did he ever win in Monaco? Why in Cincy highlighted? Cause it's the real slam? Why is Ponta Vedra (which is misspelled and should be Ponte Vedra) on the shirt? Where are cities like Tokyo and Stockholm? Cincy is highlighted because it's the real slam. I figured that given the highlights, but I still don't get all the other random cities. The polo Shapo wears is indeed really nice. Easily the best design we have seen from Nike this year. Maybe Nadal caught his first big fish in Pontevedra? Or maybe it was his final resting place on his camino before he had a vision to become the clay GOAT? 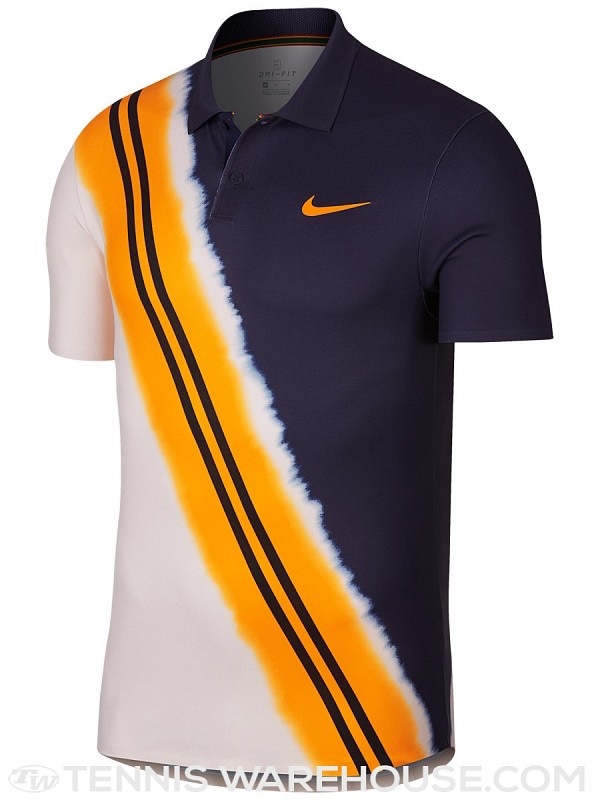 Anyone know will there be more Nike Federer match clothes this year? Are the two polos with the big V the final RF gear? Maybe silk screener is Bengals fan?? That photo of Shopnlove wearing a Nike shirt is fugly as sure as the sun rises in the east. Nike, hire some damn new designers. Geez! I feel the same way about the Zoom Zero shoes that go with this line.